Troy represents businesses and individuals in civil litigation, bankruptcy, judgment collection, and contractual matters. He also has a special interest in representing clients accused of defamation for exercising their First Amendment rights. Troy has successfully defended defamation claims made against authors and bloggers under state anti-SLAPP statutes designed to protect those who speak on matters of public concern from the sometimes financially ruinous consequences of litigation. Successfully confirmed and consummated a consensual Chapter 11 reorganization plan for individual debtors involved in an unsuccessful medical practice. Sued a credit union for conversion and intentional interference with economic relations for seizing a client’s property as part of an unrelated party’s forfeiture of assets. The matter was favorably settled immediately after filing a complaint. Prevailed on an anti-SLAPP motion against a person who reported suspected child abuse. The child-abuse reporter based her statements on reasonable information conveyed by the child and the child's mother. In response, the suspected abuser sued the reporter for $1 million in punitive and compensatory damages. All claims against the child-abuse reporter were dismissed with prejudice and attorney’s fees were awarded. Prevailed on an anti-SLAPP motion against a person who claimed to have been placed in a false light by the truthful, factual investigation of a blogger into the underpinnings of illegal telemarketing. In addition to a dismissal of all claims, he obtained an award of attorney’s fees against the plaintiff. Troy undertook the case pro-bono, and was recognized in the influential blog Popehat for his work. Prevailed on an anti-SLAPP motion against a nationally recognized author who claimed to have been defamed by a newspaper article critical of factual allegations in one of the author’s books, as well as obtaining an award of attorney’s fees against the author. Obtained Summary Judgment in favor of two business owners who faced a $2 million fraud claim by a supplier in connection with the failure of their business. Successfully settled a homeowner’s claims against a contractor for violating the Oregon Home Solicitation Sales Act and performing substandard work. Structured the merger of two successful internet based design and manufacturing firms. Counsel to numerous Chapter 7 and Chapter 13 bankruptcy clients, as well as creditors and debtors in Chapter 11 proceedings. Troy has donated a significant amount of time assisting clients at the Small Business Legal Clinic, a pro bono clinic assisting small business owners in transactional matters. He was recognized as a Small Business Champion for his contribution to the Clinic in 2011 and 2013, as well as received its 2012 Outstanding Pro Bono Service Award. 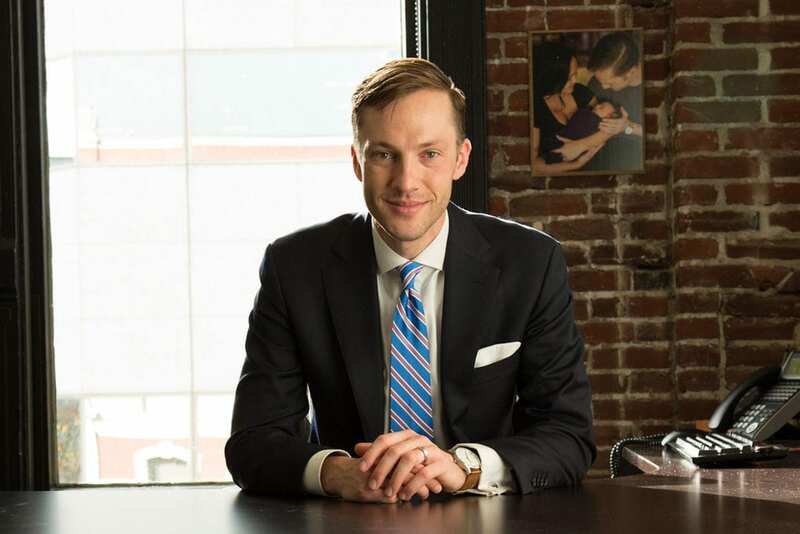 Troy has been an associate attorney at Motschenbacher & Blattner LLP since 2011. Prior to that, he clerked for the firm and for the Small Business Legal Clinic. Before his legal career, he managed a Christmas gift shop and Christmas tree farm for 7 years. Troy rides his bike 4,000 miles a year, yet races bikes very slowly with the Oregon Bicycle Racing Association. He also raises chickens and enjoys traveling, backpacking, and Nordic skiing with his wife.